Even Renault’s most ardent fans would acknowledge that the outgoing Twingo lacked the fun factor of the original (which wasn’t officially sold in the UK), but the all-new one is set to change that. Not only does the Twingo become a five-door hatchback for the first time but the engine’s moved from the front to the back, with its power going straight to the rear wheels. That's not a huge surprise given Renault’s previous rear-engined heritage and the fact the Twingo’s been jointly developed alongside the next generation of Smart city cars too. Despite the lack of an engine under the bonnet, there’s no front boot. All your shopping and luggage sits at the back above the motor. No diesel engines will be offered at launch. We're expecting a quick Renaultsport version to break cover after the normal Twingo is launched. 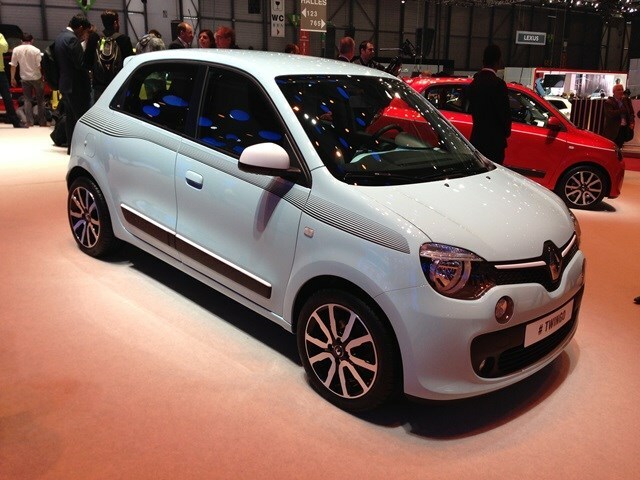 Read more about the new Twingo in our article here. Renault’s hoping to capitalise on the new era of small-capacity turbocharged engines in Formula 1 racing as it reveals its new twin-turbo 1.6-litre diesel motor. With 158bhp available, the 1.6-litre Energy dCi 160 Twin Turbo, to give the powerplant its full name, offers approximately the same level of power as Renault’s previous 2.0-litre unit. It promises to accelerate well too, producing 380Nm of torque from 1,500rpm, enabling strong performance and relaxed cruising. Renault is being coy about which cars will receive the new motor, indicating it will easily power larger vehicles than the current Megane range.